I am excited to share another Tulip Tale on my blog today! Raelene is a mother of three, including one child with special needs. Here, she shares the story of her daughter, Hailey. I adore her honesty, and I know you will too. 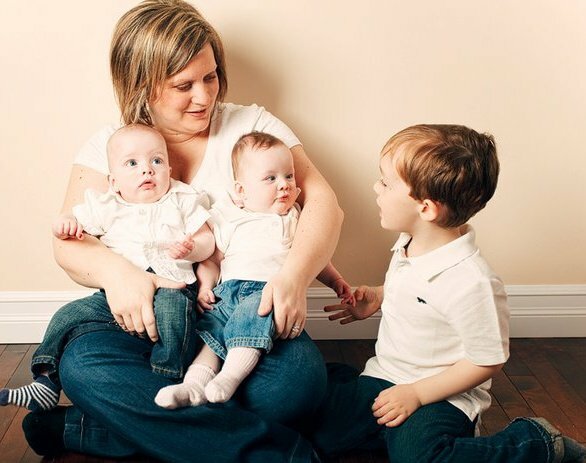 My pregnancy with twins was considered higher risk because of the fact that I was carrying multiples, and I'd had blood pressure issues previously when I was pregnant with my first son, Ben. I also had an odd antibody show up in my blood, that doctors couldn't determine where it came from. (It wasn't the normal Rh antibody, but something different. I was told that it was something I would only get from a blood transfusion, which I've never had, so it remains a mystery.) I was scheduled for weekly biophysical profiles, where they used a Doppler ultrasound to check the flow of blood to each baby's brain. Hailey and her twin brother, Matthew were born at 33 weeks via emergency c-section after a weekly visit to the Maternal Fetal Assessment Unit revealed that one baby's heart rate was low and not fluctuating like the other baby's. Hailey was born with very little blood. I still do not know the medical term, but it was explained to me that her blood had backed up into mine, leaving her as white as paper. 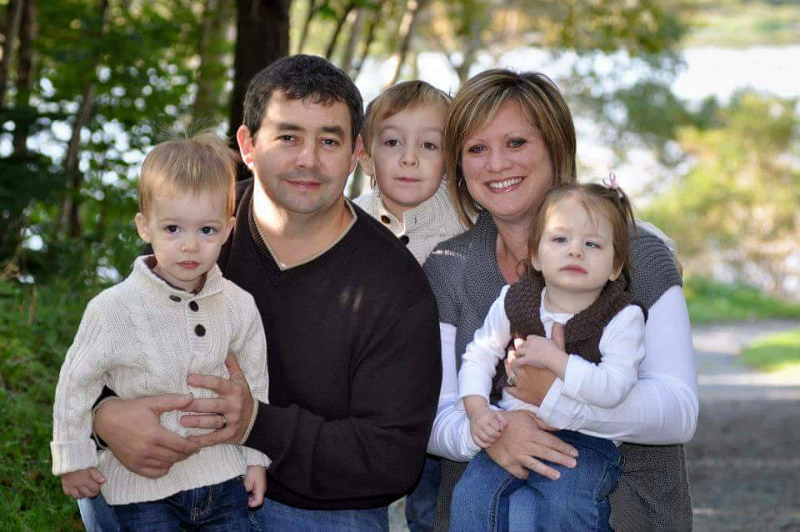 She received two blood transfusions immediately after birth. We were told a lot of very scary possible scenarios, and it was a waiting game as the doctors checked all of her vital organs. She had a brain hemorrhage, which led us to prepare for the worst case scenario. The left side of her body was affected, and she was diagnosed with cerebral palsy at her one year check at the Perinatal Clinic at the Janeway. Hailey was also diagnosed with hearing loss (auditory neuropathy) - damage or absence of auditory nerves - at around 2 months of age, and received bilateral cochlear implants at around 18 months. She had a strabismus repair on both eyes when she was just two and a half years old. Her eyesight was perfect, but her eyes were turning in. It was strictly a muscular issue, so she had that fixed surgically. It has always been a bit of a mystery with Hailey, as to how much she understands. She is non-verbal, however, she has shown us in her own way that cognitively, she is pretty sharp! She puts things together and has her own thoughts and opinions, even though she cannot speak. Physically, she is doing awesome. She has come such a long way. The hardest part of her condition, for me, is the non-verbal piece. I struggle with it, probably more than she does. I long to know how she is feeling, etc. We are using PECS (Picture Exchange Communication System) now, and that has helped with her requesting things, but it is still a challenge. Also, because she cannot speak it is hard for her to make friends. She loves to be around people and is a very social little girl, but I worry that she feels isolated. I hold out hope that she will speak eventually, as no one has ever said for sure that she won't. I keep thinking her life would be SO much easier if she could speak. 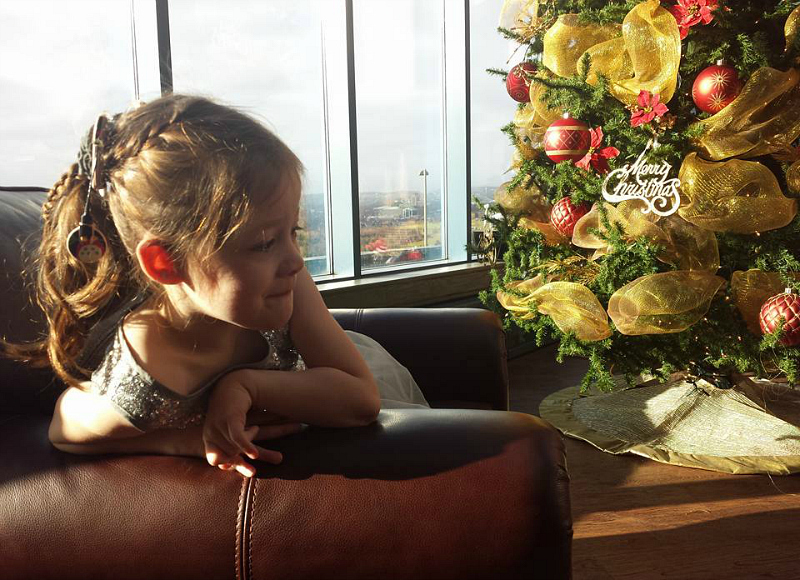 My son, Ben used to ask me from time to time when Hailey would talk, but now he says things like, "When Hailey talks..."
I am having a difficult time with Christmas because I cannot ask her what she wants Santa to bring, and she most definitely has her preferences. For example, she and her brother turned five in October, and among their gifts was a Minion stuffed toy for Hailey and a Minecraft creeper for Matthew. She wanted the creeper and would not let up. I had to bring back the Minion and get another creeper! She isn't a girly girl and she likes the things her brothers like! I am grateful that her cochlear implants give her the gift of hearing. It is truly a blessing. (I should mention that one malfunctioned and she had to have it replaced - yet another surgery!). Hailey was diagnosed with Autism in February of this year. She had a bit of a hard time with eye contact (which she has since overcome) and in the ADOS (the Autism diagnostic test), she didn't seek attention from the two people in the room. She played when they initiated, but she didn't initiate. The doctor told us that she wasn't 100% confident in the diagnosis and gave us the option to have her retested at a later date. We decided to take the diagnosis so we could get more support in place for her before school started. Personally, I do not feel that she is autistic. I realize that the spectrum is huge, but I am not convinced. I am, however, extremely pleased with the therapy that she receives. Hailey is lucky to have two brothers looking out for her. Ben, her older brother, is very protective over her most times. Both he and Matthew do not treat her any differently, nor do I really. She has the same rules as they have. Matthew (her twin) is a silent observer. He is his own person, but he will check on her with a sideways glance every now and then. 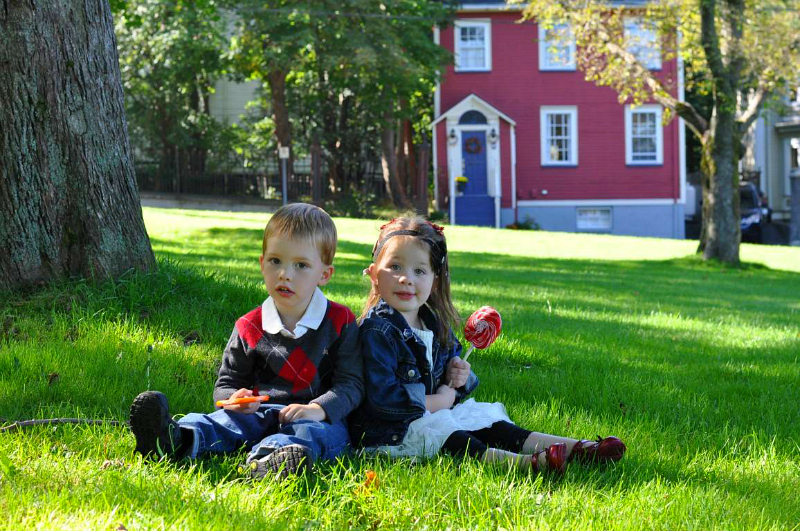 I must say though, since they started Kindergarten in September, they have been playing together more than ever (mostly games of tag!). Matthew looks out for her, and is very quick to tell me when one of her "ears" is off. Hailey has done countless hours of Physiotherapy and Occupational Therapy, and although she was a late walker, she is now running, hopping and climbing stairs! 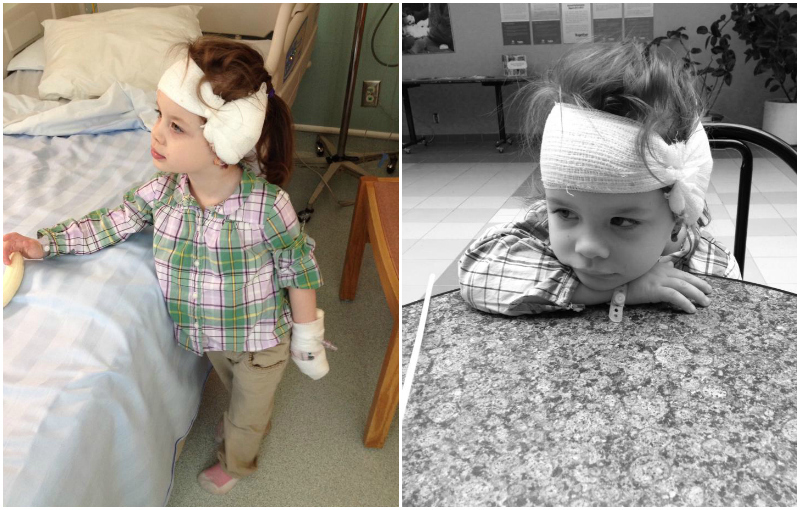 Hailey is an amazingly determined little girl and we celebrate all of her achievements every day! Thank you, Raelene for sharing your daughter's story. Hailey is such a beautiful little girl! I can certainly relate to what you say about having a non-verbal child. I think that is one of the most difficult points for me as well. I just wish that Brennen could talk to me and tell me what he wants or how he feels. What I wouldn't give to hear his little voice. To hear him say "Mommy", or say "I love you". But I hear his laughter, and I see the smile on his face, and I understand. Just as I see happiness in your sweet Hailey. True, we have known sadness, but we also know acceptance and unconditional love. There is no replacement for that. I always want parents who are just entering this world of 'special needs' to know that the love you feel for your child will surpass the worries, fears and burdens you may be feeling now. Don't get me wrong, the difficulties, the pain and the heartache are all very real, but so is the love, and that's what will get you through.